A proposed £120 million regeneration of Fletton Quays in Peterborough is not good enough for the city, according to the Peterborough Civic Society. In a strongly worded letter to the Peterborough Telegraph the group’s chairman David Turnock said Peterborough deserved better than the planning application which has been handed into Peterborough City Council. The application included plans for 265 luxury apartments, restaurants, a 160-bed hotel and two blocks of offices at the South Bank site between the River Nene and the Peterborough to March railway line. It was also announced last week that plans to relocate council staff to the site are being investigated which could lead to Bayard Place being turned into homes. Mr Turnock asked “where is the magnet that will attract visitors to the area?” and said previous plans for the site have included an art gallery, concert hall and university campus. 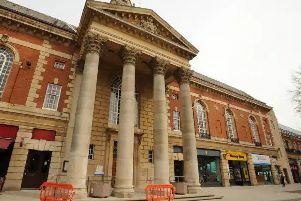 But he criticised the scheme put forward by the Peterborough Investment Partnership, adding: “Peterborough Civic Society is convinced that the scheme is not good enough. Peterborough deserves better. The criticisms of the Fletton Quays development come soon after ambitious plans to regenerate North Westgate in Peterborough hit a possibly terminal stumbling block due to plans to upgrade nearby Queensgate shopping centre.